Integrity is what the Business Team foundation is built upon. Every client receives the same dedication to strict ethical business dealings in all transactions. This dedication helped prove Business Team as the leader in M&A and main-street business broker services. Since 1981 we have sold more businesses than any other brokerage firm in the western United States, giving us a depth of experience unmatched in our industry, which we pass on as added value to our clients. Currently, Business Team has more than 500 businesses for sale, a dozen offices throughout the west coast and over 100 full-time professionals matching sellers and buyers. 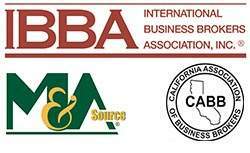 We are long-time affiliates with the International Business Brokers Association, the M&A Source and California Association of Business Brokers. We have on staff past Presidents of the California Association of Business Brokers as well as several board members from both associations. Business Team has the resources to bring our clients to the global marketplace, the experience to minimize risk and the knowledge to maximize overall value for our clients. Contact us today for a no-obligation, confidential conversation about selling, buying, improving value, appraising or financing a business. Professional business sales and transaction management is what we bring to your team. Business Team has some of the most experienced specialists in the industry. Most of our veteran team members have earned the credit of Certified Business Intermediary (CBI) and Merger & Acquisition Master Intermediary (M&AMI) designations from the International Business Brokers Association. Business Team of Northern California is headed by our twenty-year veteran, fourteen-year ‘Top Producer’ and Managing Director, Aron Culver, who brings a vast diversity of experience in business sales including manufacturing, wholesale, distribution, B2B and B2C services, technology, retail, professional, medical, dealerships and franchises. Aron and the team has the proven ability to successfully navigate clients through private sales, industry roll-ups, corporate divestitures, private to public mergers, bankruptcy and asset sales and more. Our specialization is selling businesses. For a confidential conversation contact Aron Culver directly at (916) 612-3123. Mr. Culver holds a reputable stance in the business brokerage community with more than 20 years helping business owners buy and sell companies throughout California. He is creative, resourceful, ethical and always prioritizes his clients’ goals first. He has finished within the top-ten producers at Business Team twelve out of the last twenty years, including “Top Producer” eight times. He is the first within Business Team to achieve the “Best Client References” award. Aron has successfully transacted businesses of various sizes and within most industries during his seasoned tenure which translates to the experience necessary to safely navigate clients through the complexities in business sales, mergers and acquisitions. He has managed some of the most difficult transactions to successful closings including roll-ups, corporate divestitures and complete acquisitions. Aron is a long-time, past member of the International Business Brokers Association (IBBA) and has attained the Certified Business Intermediary (CBI) designation from the IBBA in 2000. He is a past member of California Association of Business Brokers (CABB), is a licensed real estate Broker in the state of California and has attained the Senior Business Analyst (SBA) and Machinery and Equipment Analyst (MEA) designations through the Society of Business Analysts.